Tai chi is not about resisting attacks but about first yielding to the attack. The strategy of tai chi is to flow around obstacles, and to redirect the energy of an incoming attack back outward. This is a trademark of tai chi, and a teaching that differentiates it from many other types of martial arts. Those interested in learning tai chi for self defense should realize that tai chi is not the fastest way to learn these types of skills. In the short term, less than a year or two, good instruction in any of the external martial arts (e.g. kung fu, karate) is usually the faster way to go for self-defense. The linear techniques and reliance on muscle strength are easier to learn than the relaxed, circular, internal approach of tai chi. Within the PTAH KI system we train both Tai Chi self defence and mix martial art self defence so the student learns how to effectively defend themselves early in there training experience.. The application above is a demonstration of single whip developing reaction and timing. Once we understand the body movements and positioning, we can play around a little with the techniques. Takedowns training practiced in PTAH KHI is a mix of close self defence takedown and Tai Chi takedowns, takedown refers to when a practitioner off-balances his opponent to take him to the ground; this is achieved when the practitioner applies a throws by off-balancing his opponent to take him to the ground. 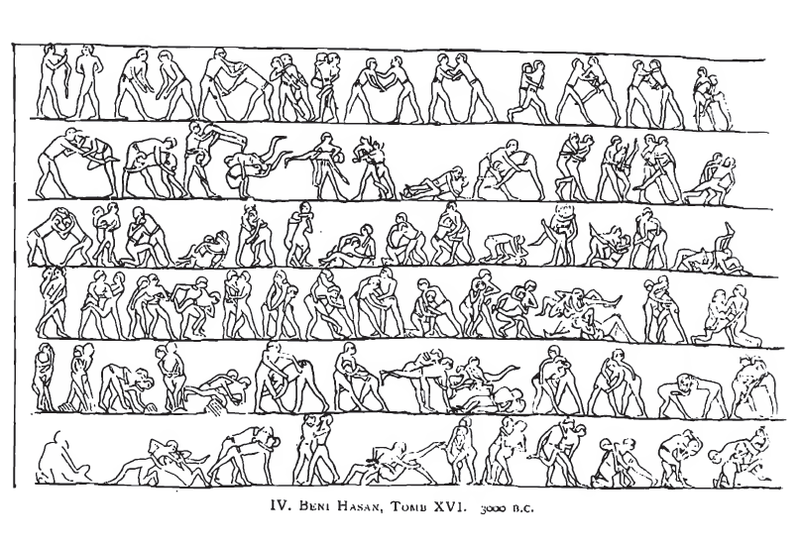 The practitioner typically remains on his feet during these takedowns. Below are some examples of take downs practiced during class. The practice of internal and external conditioning is necessary to understand the deeper aspect of what Tai Chi can offer. Essential exercise regimens include for example Chi gong (weighted and unweighted, silk-reeling), forms are done slower and slower over time conditioning the body to move effortlessly and functionally pushing hands condition the body when practice with resistance. Anyone who would like to benefit from the total effect tai chi has to offer. Natural/trained fighters who naturally follow this style of martial science and are not naturally gifted with superior strength or speed. Internal martial arts practitioners who wish to compete in MMA or pushing hands competitions. Those who have not practiced pushing hands find the closeness where we practice our offensive and defensive engagements most uncomfortable and cause most to flinch or turning away. As there body adjust to the tactics or strategies a relaxation overcomes the student of the art. Core strength training helps ensure that your torso remains steady while you preform your tai chi movement with power. The core muscles stabilize your trunk and keep it from wobbling when you move your arms and legs. When all of these muscles are functioning properly, they also reduce the strain on your back and legs. In tai chi there is a great point. The major core muscles consist of the pelvic floor muscles, transversus abdominis muscle, multifidis, internal and external oblique's, rectus abdominis, erector spinae (sacrospinalis) especially the longissmus thoracis and the diaphragm. Minor core muscles include the latissimus, gluteus and the trapezius. These should all be contracted simultaneusly in order to gain maximum stability in the abdominal and lower back region. The core muscles are the powerhouse of the body and allow smooth contraction and movement of the arms, legs and back. The centre of mass (COM) is an important physical concept. It is the point on an object at which the weighted relative position of the distributed mass sums to zero—the point about which objects rotate. Human proportions have been important in art, measurement, and medicine (a well known drawing of the human body is seen in ). Although the human body has complicated features, the location of the center of mass (COM) could be a good indicator of body proportions. The center of mass of the human body depends on the gender and the position of the limbs. In a standing posture, it is typically about 10 cm lower than the navel, near the top of the hip bones. The anatomical position for the Centre of gravity (COG) lies approximately anterior to the second sacral vertebra. However, since human beings do not remain fixed in the anatomical position, the precise location of the COG changes constantly with every new position of the body and limbs. The bodily proportions of the individual will also affect the location of the COG.